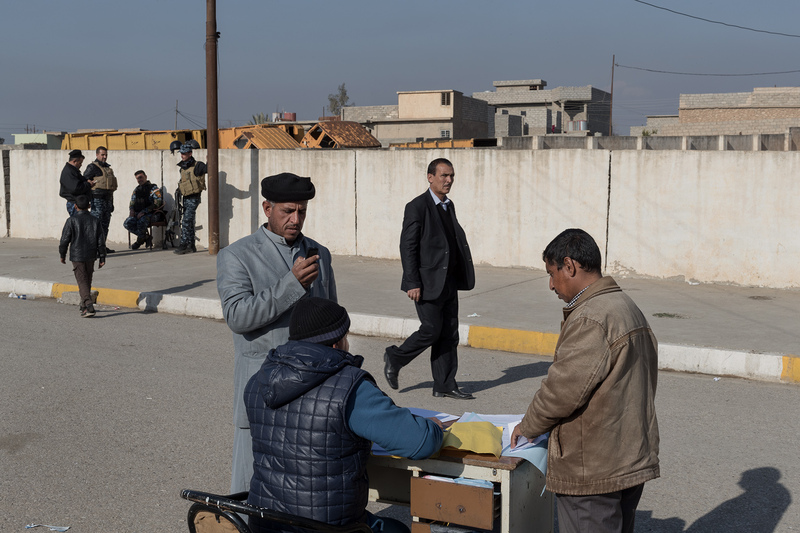 In front of Hammam al-Alil Court, a public writer fills fills the documents for the judge. Iraq on Jan. 9, 2017. In the background military secure the area.